My family hasn’t owned a camper since 2003. We got this one last year. I had a crazy stressful 2016 and my parents had a stressful 2017, so we haven’t camped a lot since getting the thing. Things are pretty good now relative to last year, so I can really appreciate a nice weekend away. Crack open a nice cold Mike’s and enjoy a weekend without obligations. I also moved Chelsea and Phil to my mum’s house. We’re serving my tenant her termination papers on Tuesday and I don’t expect it to go well. We just can’t be known as the drug house and I don’t feel safe anymore. Per my state, because the lease termination is because possession and sale of an illegal substance, a 30 day notice isn’t necessary. I’ve traveled roughly 2-3k with these trailers so far. I monitor temperatures and other vitals with my UltraGauge. The car responds amazingly well. The engine doesn’t run at any higher temperature (so long as it’s in good condition, a smart’s cooling is overpowered), the transmission only slightly higher temperature, and the clutch performs like it would driving on a hill. My new brakes were way overpowered for the car in the first place, so nothing to note there. The car wasn’t engineered for towing, but it does a good enough job it could fool even the most veteran tow people. Why am I doing this? My secret project. I’ve done a crazy amount of research on fiberglass and vintage campers. I think I know more about them than I do trijets! Turns out, there is an incredibly wide variety of hard body campers a smart can tow. Sadly, the few new ones that exist are unnecessarily small and/or heavy or just crazy expensive. You can buy a fleet of used smarts for the cost just of one tiny hard body camper. Now, the amusing trade off of this is that these types of campers were insanely popular in the 70s, 80s, and 90s. There are more of these campers on the used market than there is demand for them. 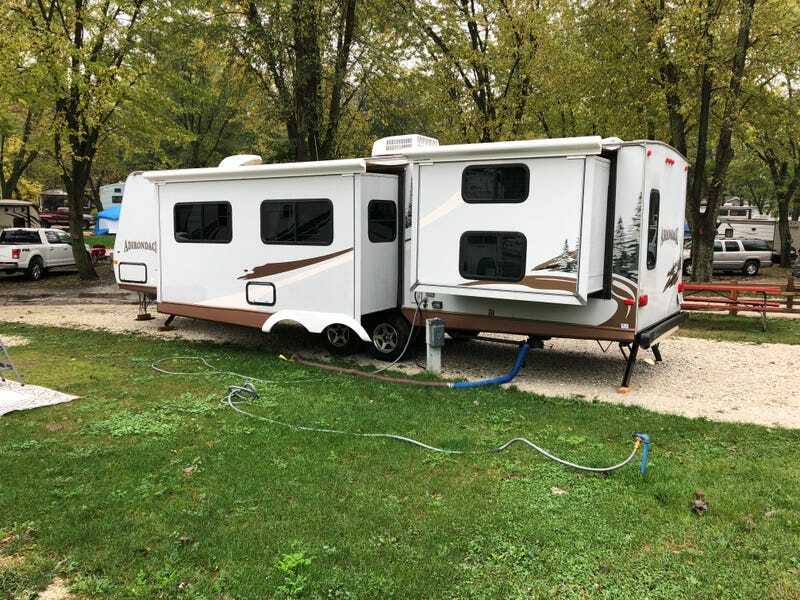 Most people just try to buy a truck and the biggest travel travel trailer they can afford, rather than getting a camper their existing car can tow. This means prices like $2k-$3k for relatively unknown brands in decent condition, and about $5k for slightly more collectible models. And almost all of them weigh in the range of 950-1,300 pounds, even fully loaded ones. Most of these brands dissolved in the 90s when big travel trailers became the new trend. The awesome part about this is that the design of my off-road project will even further increase the car’s ability to handle it, namely the more durable and stronger suspension parts. Europeans (no official rating from Mercedes-Benz) rate a fully stock smart at 1,100 pounds with no more than 200 pounds tongue weight. More durable parts and brakes are suggested for more weight. The 450 is somewhere around 600 pounds and the 453 about 1,800 pounds. And finally, the power converter (converts the input power into 12V for the items in the trailer that can also be used for dry camping) in our trailer overheated and broke a solder a couple weeks ago. I located the broken solder and it is a mighty tiny one, no wonder it broke. I determined the cause of the overheating event to be that the fan got stuck and thus couldn’t provide cooling. The heat sink can’t do it by itself. This meant that high power items like the microwave and A/C worked, but almost everything else was dependent on the discharging battery. The drawer provides pressure to the screwdriver. And we have lights plus a charged battery. This temporary fix should get us through the weekend. After which the season in my area will be over and the converter can get replaced. From what I can tell, these WFCO units are garbage anyway. Hope Oppo is having a good weekend!